In a post-apocalyptic future, what’s left of Earth’s remaining cities are now wheel-bound on giant, motorised mechanisms, as they fight to stay alive by devouring smaller cities. Hester Shaw (Hera Hilmer) attempts to kill Thaddeus Valentine (Hugo Weaving), whom she blames for the death of her mother, setting off a series of adventurous events. You’ll have to check out the trailer below to get a better understanding of the setting and plot, as it’s the type of fantasy setting you’ll need to see to get a better grasp of. This unique take on the post-apocalyptic era film is based on the novel of the same name by the author by Philip Reeve. The film is directed by Christian Rivers, who is a protegé of sorts to award-winning filmmaker Peter Jackson, who takes a writing and producing credit here. The film looks well thought out visually and the world the filmmakers have created looks stunning. 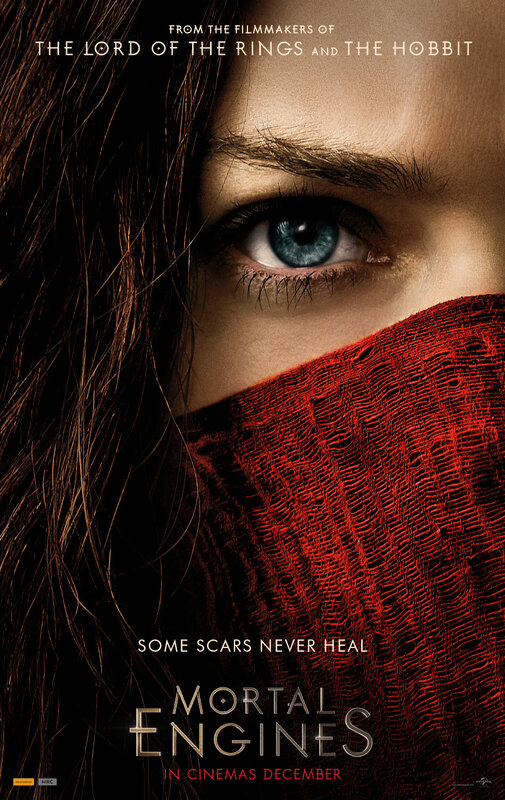 Should Mortal Engines be a success at the box office, we can be sure that the film will be turned into a series, because that’s just how it goes these days. Featuring a relatively unknown cast, the film stars Hera Hilmer, Robert Sheehan and Jihae alongside veteran actors Hugo Weaving and Stephen Lang. Mortal Engines is due for release on 26 December 2018. Check out the official trailer and poster below, and let us know your thoughts in the comments.